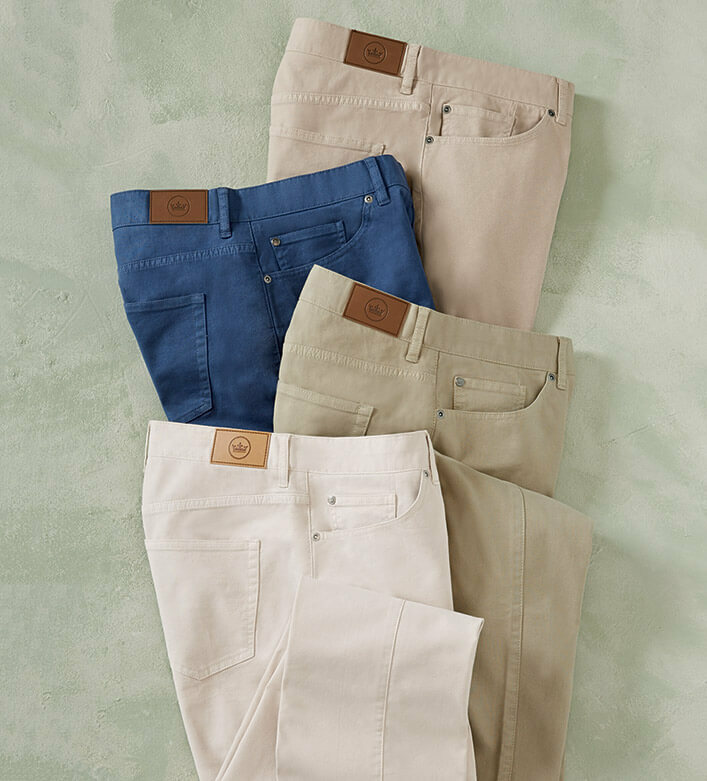 Multi-season cotton canvas with a hint of stretch, washed for an authentic lived-in look. Five-pocket styling. 98% cotton/2% spandex. Machine wash. Made in Peru.